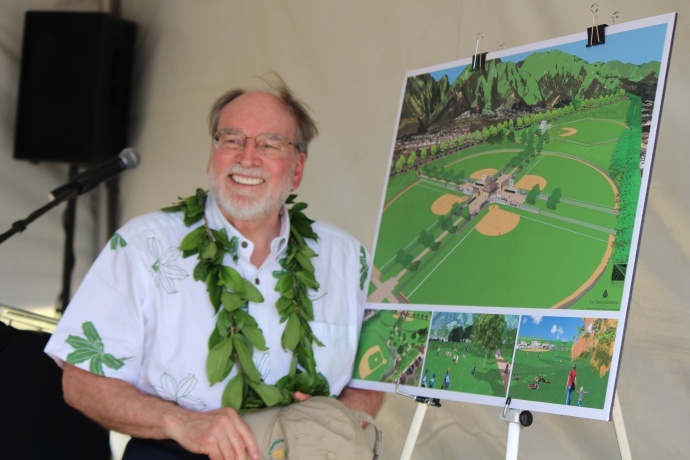 Governor Neil Abercrombie announced the release of $5 million that will be used toward the construction of the Central Maui Regional Sports Complex, currently under construction in Waikapū. The funds will be used to complete the softball fields in Phase I of the project, and to begin Phase II to develop the Little League baseball fields at the park, according to information released by the governor. When complete, the sports complex will include a high school baseball field (to be completed in Phase I), four softball fields (two in Phase I), four Little League baseball fields (to be constructed during Phase II), soccer fields, comfort stations (two in Phase I), concession stands, and parking.